Editor’s note: This is a guest post from Aleksandar Olic. In freelancing, every hour counts. The more time you can save, the more of it you can spend on billable activities. 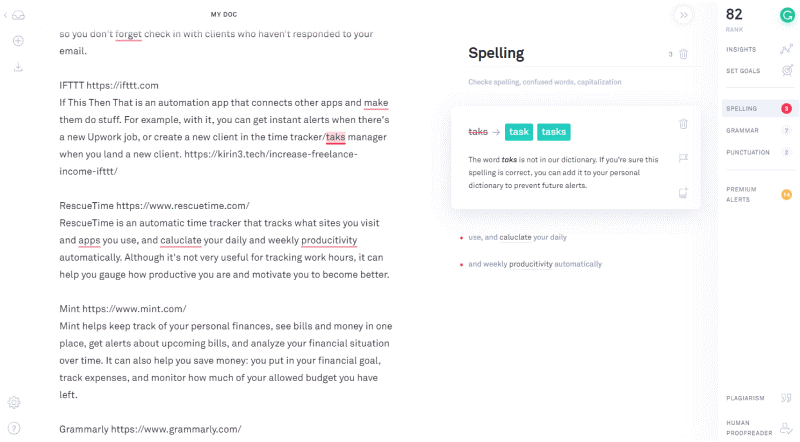 To help you get the most out of your work day, here are the top productivity apps that will help you spend less time on client management and finances, and more time on actually doing stuff. 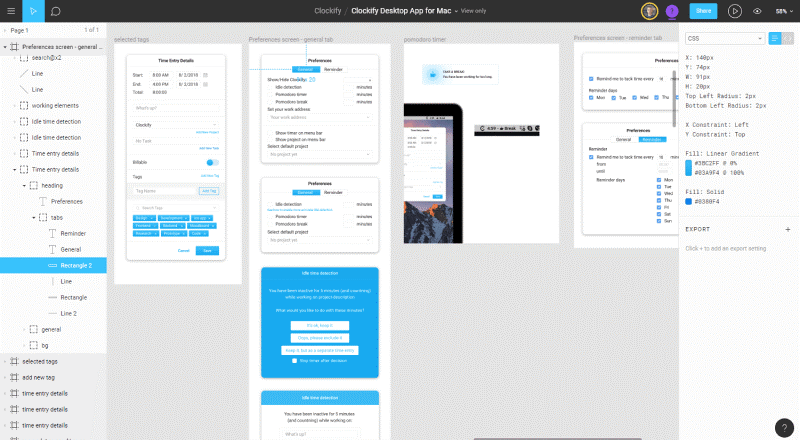 Clockify helps you track how much time you spend working on projects and clients, so you can bill them accurately later. It also calculates your earnings automatically, based on your hourly rates. Unlike other time trackers, Clockify is completely free. 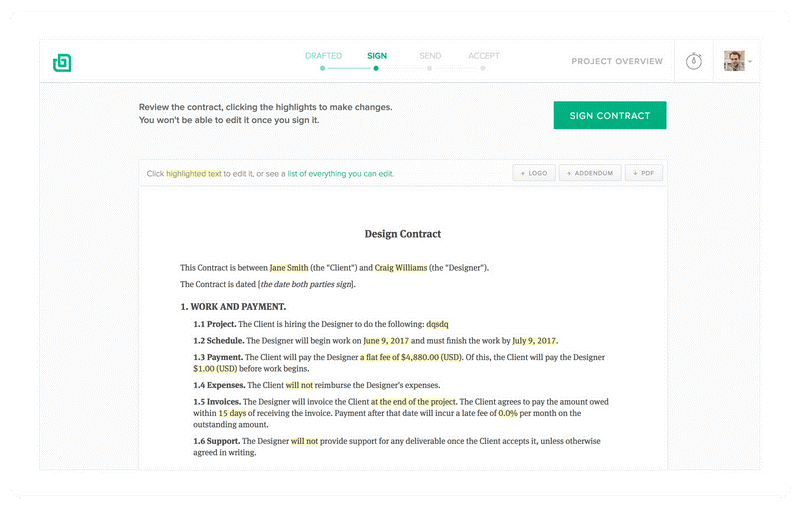 Bonsai helps you generate project proposals and legally binding contracts during client exploration phase. 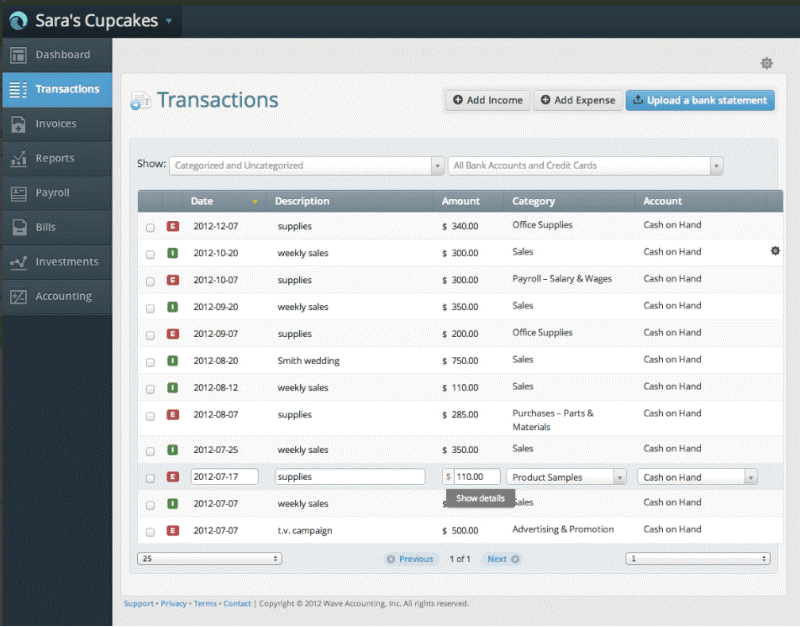 Once you land a client, Bonsai can help you keep track of expenses and generate invoices (plus, send clients past due reminders). 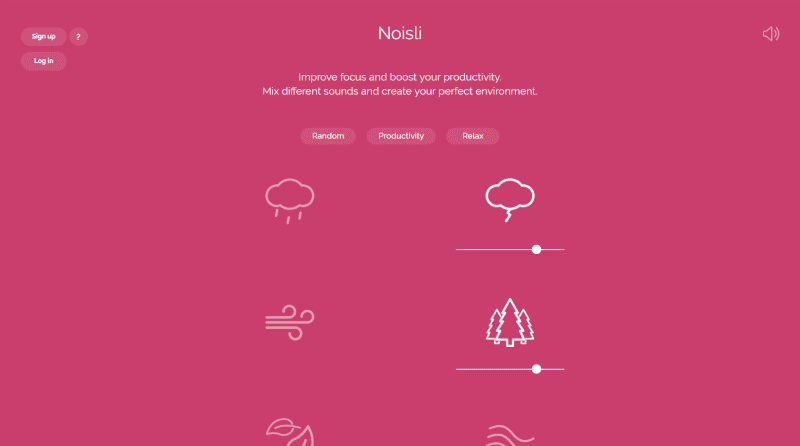 Noisli plays background noises (such as rain, thunder, waves), helping you focus while you work. The best part is that you can mix and match sounds as you want – making you feel like you’re working in a serene forest during a thunderstorm or a cozy café next to the fireplace. 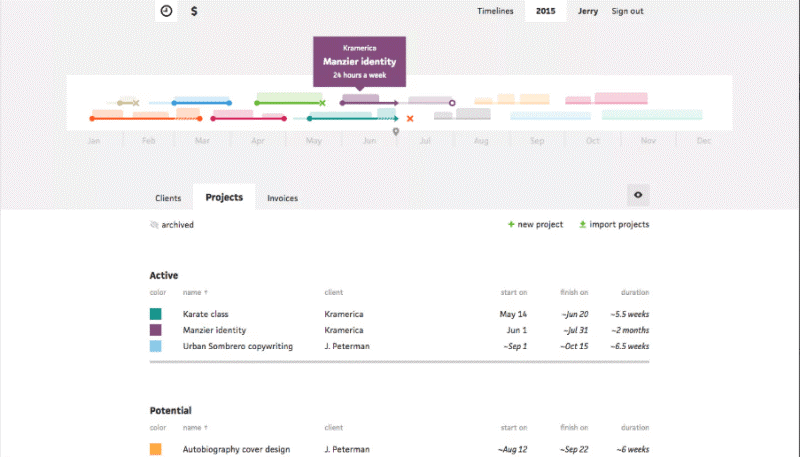 Cushion helps you visual schedule your freelancing time. It gives you a bird’s-eye view of your time, and helps you coordinate hourly commitments to clients and know exactly when you’re available so you don’t overbook yourself. Wave helps you generate and send invoices to clients, track income and deductible expenses (by scanning receipts), and get paid online. It can also help you with accounting and recurring billing. 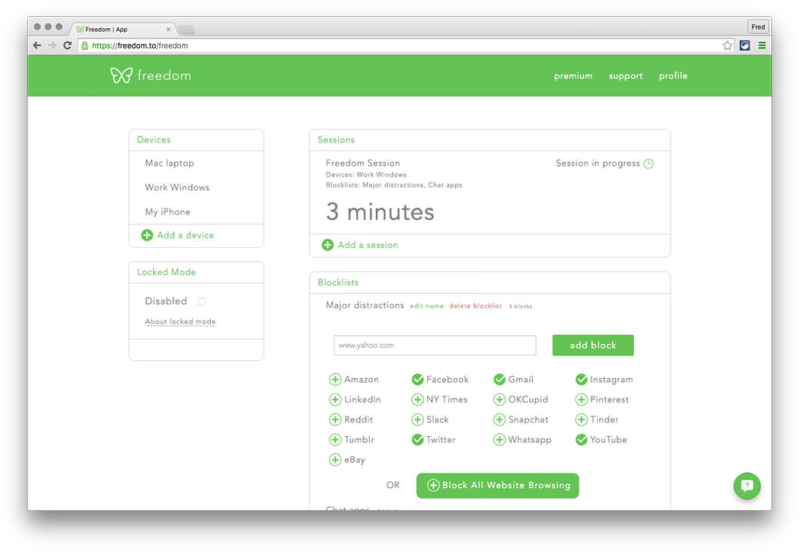 Freedom helps you focus on your work by blocking distracting apps and websites. You install it on your devices and set your schedule. Then, Freedom blocks all unproductive apps and websites – leaving you with no other option but to work. Figma is an online design and prototyping tool. But what makes it useful to non-designer freelancers is the collaboration aspect: you can draw, put up mockups, and write – and then send the link to your client for review. 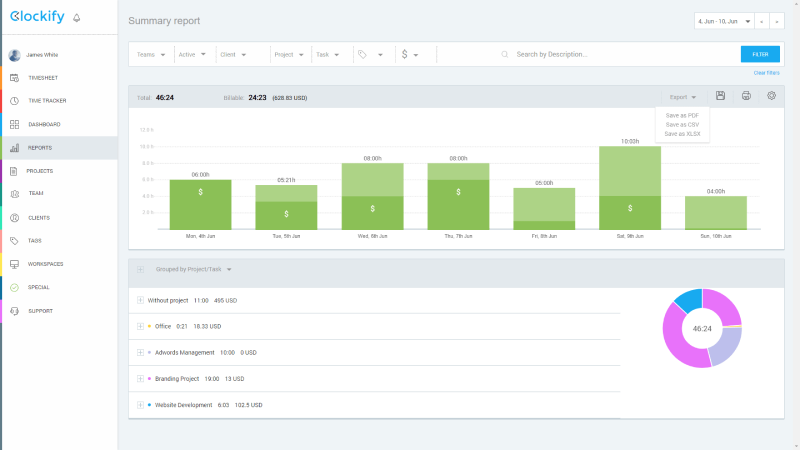 Clients can see what you’re working in real time, leave comments, and even work alongside you. Think of it as a cross between Paint and Google Docs, only better. 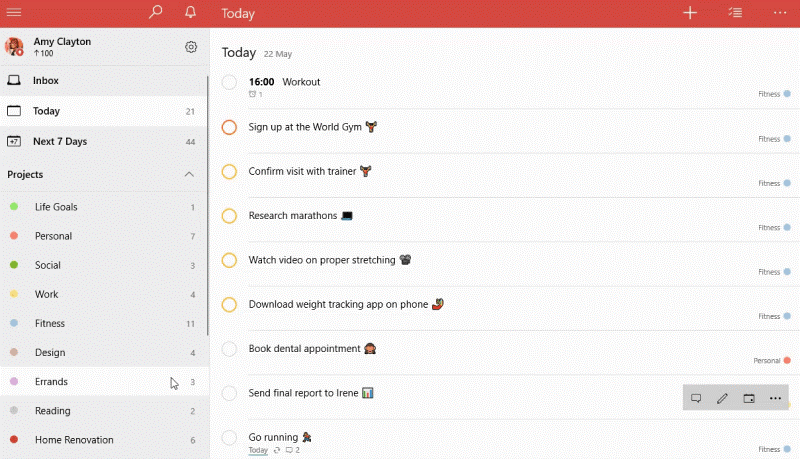 Todoist is the most popular and simple to-do app. It works on all devices and comes with loads of integrations (like Google Calendar,). You can use it to organize and prioritize your tasks, track productivity, and keep track of your deadlines. 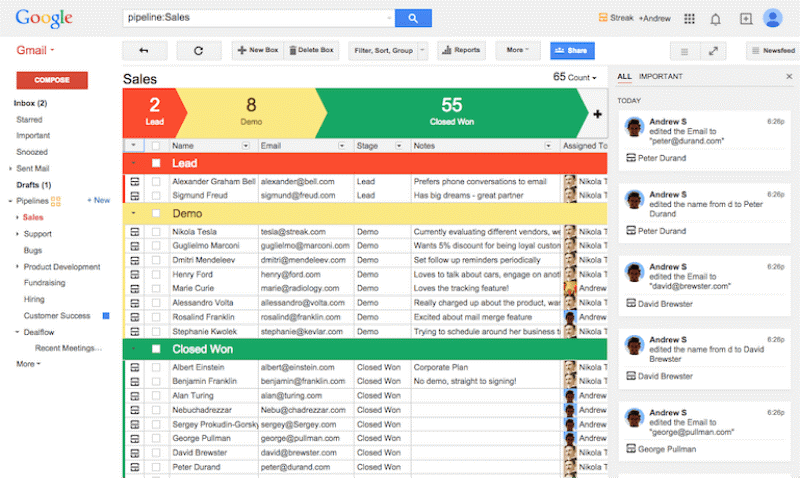 Streak is a simple CRM tool that works right inside Gmail. It can help you track at what stage your each client relationship is in (new inquiry, scheduled consultation, pending, won, etc.). Plus, Streak can show you whether someone opened your email or not. 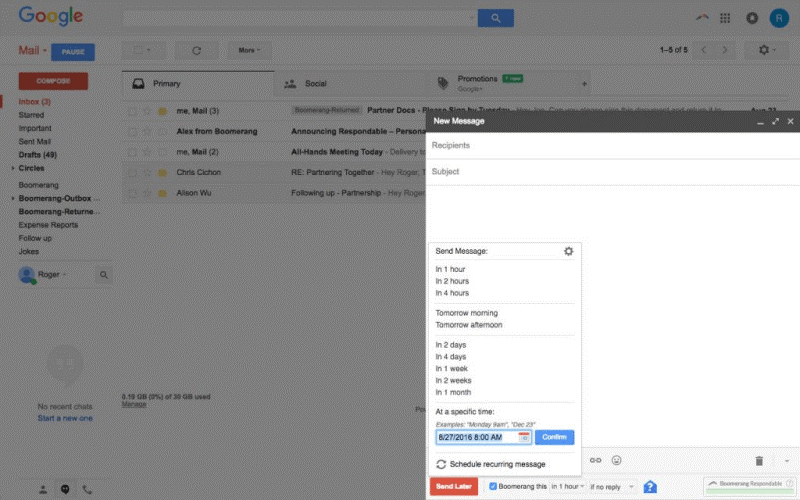 Boomerang helps you send an email at scheduled times and automate follow-ups. This is very useful in case you want to automate reminders and check in with clients who haven’t responded to your email. Zapier and If This Then That are automation apps that connect other apps and makes them do stuff. For example, with them, you can get instant alerts when there’s a new Upwork job, or create a new client in the time tracker/task manager when you land a new client. 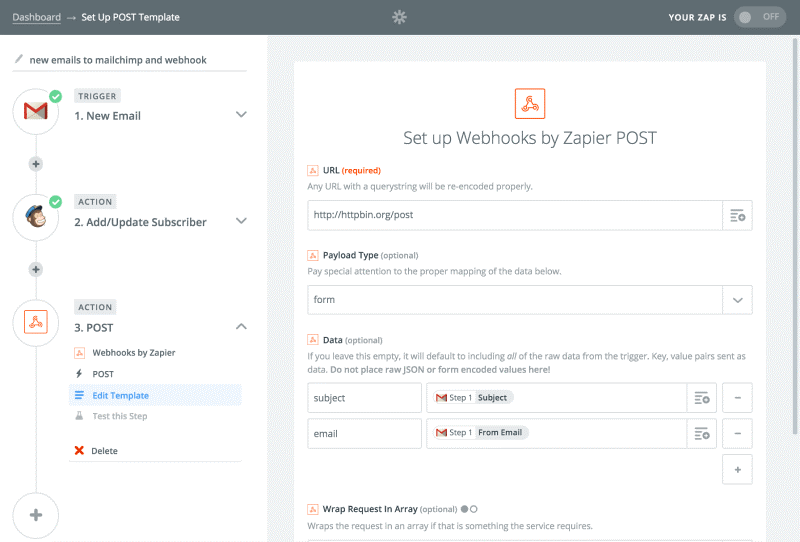 Zapier is better integrated with business apps while IFTTT works better for personal use. 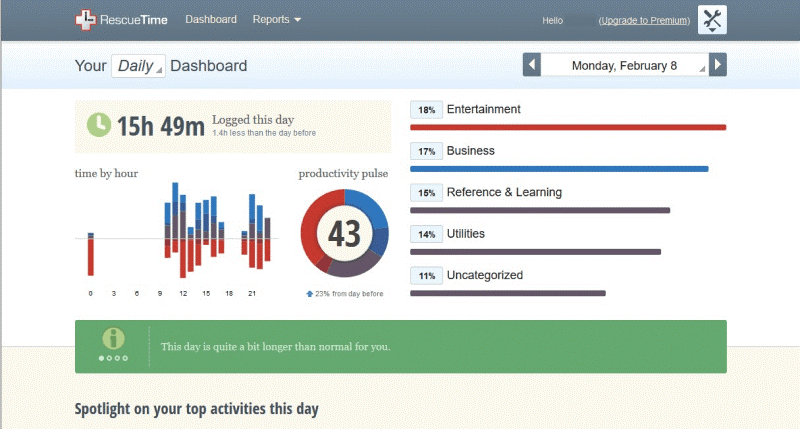 RescueTime is an automatic time tracker that tracks what sites you visit and apps you use, and then calculates your daily and weekly productivity automatically. Although it’s not very useful for tracking work hours, it can help you gauge how productive you are and motivate you to become better. Mint helps you keep track of your personal finances, see all your bills and money in one place, get alerts about upcoming bills, and analyze your financial situation over time. It can also help you save money: you put in your financial goal, track expenses, and then monitor your available budget. Grammarly makes sure you look good when replying to client emails. How? By catching spelling and grammar mistakes as you type, and suggesting corrections. All these apps will help you improve your freelancing game. From time trackers like Clockify and RescueTime to communication boosters like Streak and Boomerang, you’ll spend less time on client and finance management, and more on actually getting things done. 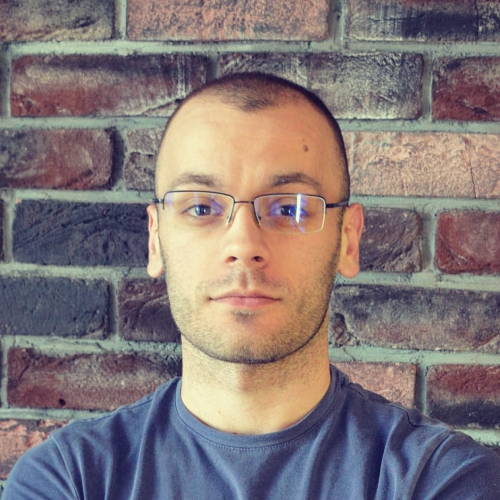 Aleksandar Olic is a product marketer who writes about software, business, and productivity. He has a keen interest in design and product management, and enjoys helping others grow professionally and improve their efficiency.